So you want your Mackie, Ampeg, Crate or Tapco product upgraded? For many years Surrey Amps has been the principal UK service and technical support centre for Loud Technologies products (Ampeg, Mackie, Crate, Tapco and EAW). such as the Mackie SA1530z or SR1521. 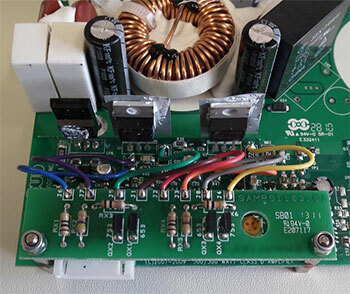 Where possible we are able to source original RCF drivers, when parts are no longer available we can remanufacture, such as rewind transformers or recone speakers. Every unit that we repair goes through the same rigorous attention to detail and comes with it’s own test report. To see how we can make your unit sound at least as good as new, use the navigation menu at the top of this page to find out more. We can also arrange collection/delivery of the unit and on some items supply a flight case to make sure the unit doesn't get damaged in transit. Fully reworked main board including our own custom screening plate which helps eliminate noise. Full rework, updated firmware and custom Celestion upgraded low frequency driver (TH12A only). Bring the THUMP back to the TH12A & TH15A. 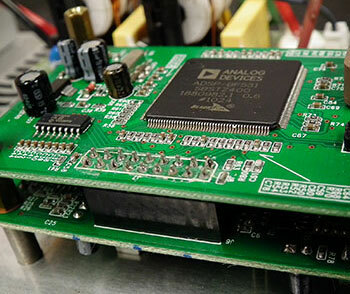 By using our own driver board and custom LF driver makes the SRM1801 reliable at last. When replacement speakers become discontinued the only option would be to have the old speaker rebuilt. As long as the magnet is not damaged and the basket is not twisted then this can sometimes be a cheaper alternative than buying new. We use OEM recone kits supplied directly from the manufacturer. Where this is not possible we have teamed up with Celestion who can offer replacement speakers as close to the original specifications as possible. These are generally a far superior replacement than the original speakers. For more information click here. Not only used in vintage amplifers, a lot of smaller NEW amps/speakers use a toroidal transformer. Sometimes it can be hard to find a replacement, this is where a new transformer can be rewound. Even when the specs aren’t available the transformer can be reverse engineered and made to the exact same specification. If your interested in having a tranformer remanufactured then use the contact form here, alternatively you can find more information on the Surrey Amps site. 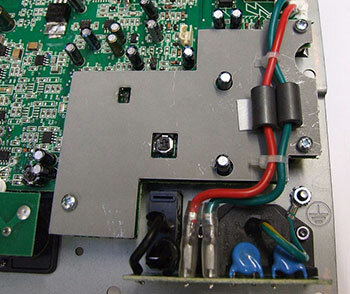 Why not bring some new life into your old amplifer? We specialise in restorations of older valve amplifers. From a simple re-valve including re-biasing to a complete rebuild including fitting new tolex. If neccessary we can also rebuild the complete cabinet. Why not get in touch to discuss your requirements. We also offer repairs to number of other leading manufacturers. These can be seen in the list to the right. We also carry and have access to OEM spares so if there’s something you require don’t be affraid to drop us a line. Surrey Amps and SV Technologies and is based at the High Technology Park at Brooklands Weybridge. We are specialists in the repair and refurbishment of Professional Sound Equipment (Surrey Amps) and Stage Lighting (SV Technologies), this includes High End Hi-Fi and the restoration of vintage amplifiers. We are experts in Solid-state, Valve and Digital technology.